A few years ago, Disney World executives were wondering what most captured the attention of toddlers and infants at their theme park and hotels in Orlando, Florida. So they hired me and a cultural anthropologist to observe them as they passed by all the costumed cast members, animated creatures, twirling rides, sweet-smelling snacks, and colorful toys. But after a couple of hours of close observation, we realized that what most captured the young children's attention wasn't Disney-conjured magic. Instead it was their parents' cell phones, especially when the parents were using them. Those kids clearly understood what held their parents' attention -- and they wanted it too. Cell phones were enticing action centers of their world as they observed it. When parents were using their phones, they were not paying complete attention to their children. Giving undivided attention is the first and most basic ingredient in any relationship. It is impossible to communicate, much less bond, with someone who can't or won't focus on you. At the same time, we often fail to realize how what we focus on comes to control our thoughts, our actions, and indeed, our very lives. Whatever we focus upon actually wires our neurons. For example, pessimistic people see setbacks and unhappy events as Personal (It's worst for me), Pervasive (Everything is now worse) and Permanent (It will always be this way) according to Learned Optimism author Marty Seligman. Yet, with practice, he found that we can learn to focus more attention on the positive possibilities in situations to craft a redemptive narrative of our life story. Because attention is so closely connected to our brain's basic wiring, it can be difficult to recognize our own patterns of giving attention -- patterns we've been absorbing since birth. Yet different cultures do allocate attention differently. For instance, psychologist Richard E. Nisbett showed an underwater scene to students in the U.S. and also to East Asians. While the Americans commented on the big fish swimming amongst smaller fish, the East Asians also discussed the overall scene, including plants and rocks. Nisbett concluded that East Asians focus on relationships while Westerners tend to see isolated objects rather than the connections between them. John Hagel reported on a similar experiment. "A developmental psychologist showed three pictures to children -- a cow, a chicken and some grass. He asked children from America which two of the pictures belonged together. Most of them grouped the cow and chicken together because they were both objects in the same category of animals. Chinese children on the other hand tended to group the cow and grass together because 'cows eat grass' -- they focused on the relationship between two objects rather than the objects themselves." Here's what I take from these two studies: First, that whatever you pay attention to -- or not -- has a huge effect on how you see the world and feel about it. And second, it's much easier to see your own attention patterns if you take the time to learn about someone else's. As leaders, what you pay attention to not only controls your own brain, but sets the example for your team. Yet as with any scarce resource, you can only intelligently allocate your attention if you know where you're spending it. Let's go back to the Disney example. Those parents probably thought they were paying plenty of attention to the different stimuli of DisneyWorld, and to their young children. But their kids' behavior tells us what they were really spending their attention on: their mobile phones. Most of us have probably been guilty of devoting more attention to our cell phones than we're aware of -- even though it may make those around us irate (such as the boss who sees us emailing during an important client meeting or the spouse who catches us texting during a romantic dinner). To learn about your own attention patterns, examine someone else's. Most motivational speakers, self-help writers, therapists and pharmacologists encourage us to focus on "me." 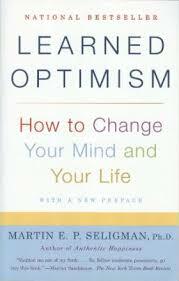 They suggest that we look inward to understand and improve ourselves for a happier, better life. That's not wrong; it is just incomplete. Instead of just asking, "What most preoccupies me? Does it make the world seem welcoming or withholding?" reach out to someone else. Be the best listener they've had in months. This is the first and most basic ingredient in any interaction. Simply gazing steadily and warmly at that person, nodding at times and reiterating what you heard will activate an empathic, mirror-neuron response in both of you. Giving and receiving undivided attention, even briefly, is the least that one individual can do for another -- and sometimes the most. And yet, attending to others doesn't just help them -- it helps us, by evoking responses that help the listener feel cared for, useful, and connected to the larger world. Paying attention may be an individual effort, but it's also a kind of social cement that holds groups together and helps them feel part of something greater than themselves. It's not always easy, but you can improve with practice -- and find yourself becoming more flexible, more open to new ideas, and better able to resonate with others. Inevitably that leads to a richer, more meaningful life.